The national average house rebuild costs have increased by an average of 4% in 2015, that according to the Society of Chartered Surveyors Ireland (SCSI) who have just released their latest Guide to House Rebuilding Costs. The Guide which is used by homeowners to calculate the rebuilding cost of their home for insurance purposes, is published annually by the SCSI. This 2015 Guide shows the increase in costs varied depending on the location for example, in Dublin the average rebuilding costs on a standard home increased by 3%, while the average minimum rebuilding costs for a standard house in Cork and Limerick increased by 5%. In Galway and Waterford, the increase was 6% while in the North East and North West it was 1%. The Society said that the increase in rebuilding costs means homeowners could be facing pro-rata increases in house insurance premiums. The SCSI said that the increase in rebuilding costs generally reflected increases in construction costs nationally. Andrew Nugent, President of the Society of Chartered Surveyors Ireland (SCSI) said “The increase in rebuild costs is mainly due to increases in construction material prices and also due to the new building regulations which were introduced last year. The data shows also that rebuilding costs increased regionally in 2015, catching up with Dublin where the bulk of the increases took place last year”. “The key for homeowners is to check that their house rebuilding costs – the reinstatement costs involved in rebuilding a house in the event of a catastrophe such as a fire which are required on all home insurance premiums, are adequate and fully in line with current figures. Homeowners need to check the ‘sum insured’ on home insurance premiums to ensure they are fully covered and not over or underpaying”. 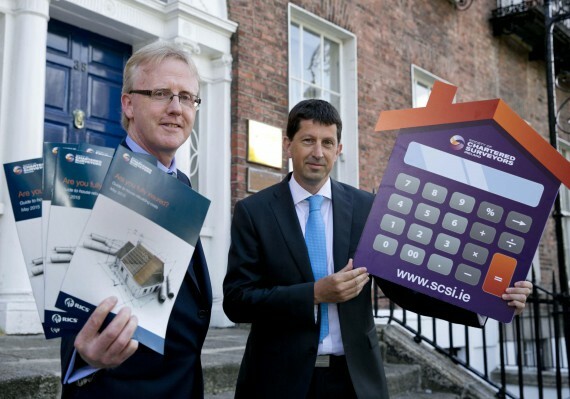 Michéal Mahon, Chair of the SCSI Quantity Surveying Professional Group, advised homeowners to download the 2015 House Rebuilding Cost Guide from the SCSI website or to use the online House rebuilding cost calculator available for free on www.scsi.ie. He said they could also download the app from the app stores or contact a local Chartered Quantity Surveyor listed on the SCSI website if they had any queries.